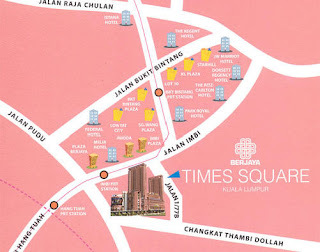 Berjaya Times Square Kuala Lumpur is the largest shopping mall in Malaysia at 3,450,000 square feet providing more than 700 individual shops and various retail anchors. Currently housing the biggest Borders Bookstore, Metrojaya Department Store, Cold Storage Supermarket, Ampang Superbowl and the largest IMAX Theatre in South East Asia. Not to be missed is Cosmo’s World, Malaysia’s largest colourful and unique indoor theme park filled with exciting rides, live performances, theme shops, snack outlets and a games area for the enjoyment of all ages. Berjaya Times Square Kuala Lumpur. Please let us know if any shops are available, or furnish us with the relevant address to make our inquary.